In American society, heart disease has grown to become the leading cause of death, accounting for a quarter of fatalities in our country today. The true value of heart health is now being realized for its part in keeping us all happy and healthy for the long haul. As we age, the risk of cardiovascular disease increases. This is not meant to serve as a dire prediction, as there are many ways today’s seniors can focus on their heart health to even the odds against heart disease. As Charlotte’s trusted home health care team, Mission Medstaff is here to provide comprehensive nursing care to adults, children, and seniors with all ranges of medical needs. Making the transition to in-home care can be difficult, but our experienced staff is ready to provide Top Rated Local® home care services. We’re dedicated to providing the best level of care for you or your loved one to create the best outcomes. One way to improve your overall health for the long haul is to focus on heart-healthy activities. 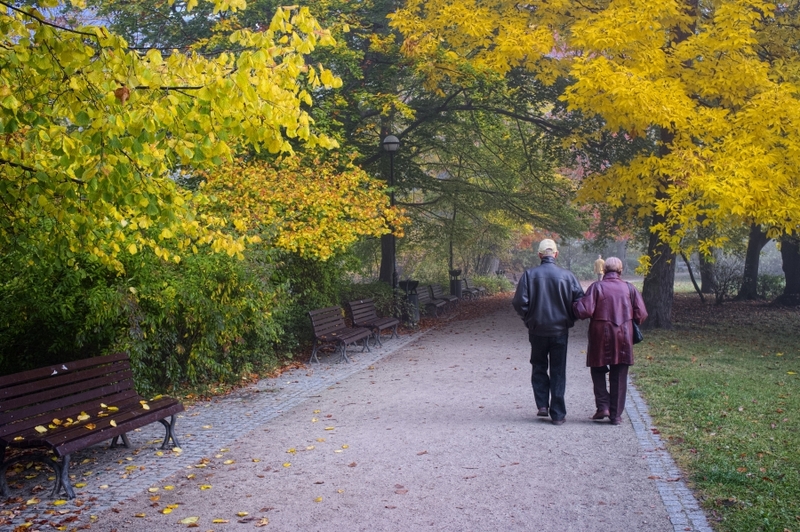 Today, we’ll discuss a few tips that can help seniors to make positive changes. If you’re in need of a professional nursing team that provides child, adult, and elderly home care, be sure to contact us for information! Stress and anxiety are both natural, but in large amounts, health concerns can develop. Humans have an evolutionary response when put under sudden stress, causing the body to prepare for “fight or flight.” The chemical change is useful for delivering sudden energy to survive an intense encounter, but when we are living sedentary lifestyles, the results are often more damaging on the body, including your cardiovascular system. It’s important to focus on anxiety-reducing measures if you are an individual that is frequently put into high-stress situations. People who deal with long-term stressors such as health or financial issues can benefit from taking positive action, whether through productive activities or counseling from a trusted individual. Take the time to calm yourself when things become hectic. As we pointed out earlier, many of us live a sedentary lifestyle, and it’s important to know that exercise is valuable for any individual at nearly any level. Strength. Building muscle can be valuable for keeping seniors in good shape while helping with weight control. Muscle growth has also been linked to added protection against fractures and sprains. Flexibility. Injuries often result from inflexibility. A limber lifestyle can help you to be more mobile, reducing fatigue and soreness. Being flexible also provides numerous benefits for your heart health in addition to physical support. Endurance. Your cardiovascular health relies on endurance to provide long-term benefits for your heart, veins, and more. Studies show that approved endurance training for seniors can provide numerous benefits, including immune-boosting effects. Balance. Slips and falls account for nearly three million injuries across the nation annually, accounting for the top reason for injury among elderly residents. It’s essential for seniors to take precautions to protect themselves from losing their balance and causing preventable injuries. Activities such as yoga can help to improve your balance, flexibility, and core strength. Nutritional support is important for people of all ages, but for senior citizens, it can be vital for overall health in addition to cardiovascular function. As we age, many people begin to eat less and less, depriving the body of vitamins and minerals needed for healthful outcomes. We recommend replacing sugary foods and drinks whenever possible with healthier options such as brown rice, leafy greens, and bright vegetables. Mission Medstaff’s home health nurses are able to provide quality nutritional support, but every plan must be tailored for each individual. Our blog posts are meant to be informational, not conclusive advice, so be sure to speak with one of our professionals for further help! Medications can play a role in the health profile of many senior citizens. It’s important for patients to stay up to speed on their medications, appointments, allergies, weight, and more to create a full picture of how healthy they are. 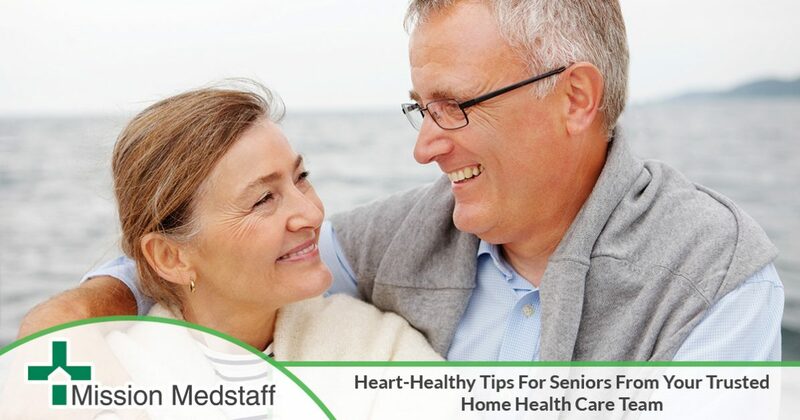 If you are concerned about your heart health, it’s always helpful to seek out professional assistance to make sure nothing is out of the ordinary. Your physician can work with you to create a personalized plan that gets you to the healthiest possible point. It’s important to check your cardiovascular health at doctor appointments. Nurses will, by default, take readings of your blood pressure, pulse, and other vitals. Blood tests are also commonly run to measure cholesterol levels in addition to screening for potential problems. Seniors are at higher risk for a wide range of health problems such as diabetes, making it invaluable to get checked up by a doctor regularly. Your blood will also be tested to check your glucose levels. Sleeping more has been linked to reducing problems such as blood pressure in some studies. Additional research has shown the link between sleep deprivation and a wide range of health issues. Elderly residents need to ensure that they are resting enough to recover and boost their immune functions. Experts vary on the ideal amount of sleep, but be sure to find a routine that provides you with between seven and nine hours of sleep and lets you awake feeling refreshed and invigorated. Cutting out unhealthy activities and replacing them with more beneficial options can help to provide all-over health for you and your loved ones. Our country is facing a health crisis, with heart disease being a top problem. It is essential for senior citizens to make proactive choices as soon as possible to prevent long-term health complications. Mission Medstaff is here to provide quality home health care to residents in Charlotte, Greensboro, and beyond. If you’re looking for elderly home care, or you are in need of in-home care for adults or children with medical needs, our staff is here and ready to provide the best service we can. Contact us today to learn more about our home health agency.